An IoS reprint to start the working week as expected, and Raich whose name is always a guarantee of an enjoyable puzzle. In common with the original bloggger and others back in the day I found this to be a bit trickier than expected, finish time a little above par for the i perhaps. I wasn’t tricked by the “North American playwright”, but unfortunately didn’t know the playwright or the North American so resorted to the dictionary. One or two others I couldn’t parse, though I suspect if I’d taken the trouble I could have with all. It’s too easy to pop over to Fifteensquared instead! But all in all an enjoyable start to the week. COD? The slightly unusual 21d – “Needing order? Yes, sergeant-major! (5)”. And now I’ve seen the Fifteensquared blog (click here), I learn from the setter that there’s a pretty outrageously obscure ‘Nina’ in the puzzle (his term, I’d call it a mini-ghost theme). Apparently there are Christmas Islands (think Noel Inch) in both Nova Scotia and Tasmania, whilst The Andrews Sisters had a song called Christmas Island. P.S. If you’re keen for more, that Maize chap has a puzzle in today’s Independent. Just click here. This was Hieroglyph’s debut in the Independent all those years ago, and I’m guessing his debut in the i too unless my memory’s failing me again. My first guess on solving was that this would turn out to be an IoS reprint, such was the speed the clues were falling, but as it turns out it was a Saturday Prize Puzzle. At first I thought – blimey, I’ve finally got the hang of this crosswording lark – but it turns out everyone else found it on the easy side too. Oh well. That said I slowed down significantly in the NW corner, even with the generous BOND STREET in place, which I suspect might just have been me running out of steam. There’s a pretty clearly flagged theme based around various 24ac’s, all of which I knew, including the works referenced, given how well known they are. Only the one I couldn’t parse – 25d, not knowing Robespierre’s full name (who does? ), but the rest went in confidentally enough. All in all an enjoyable solve, after which I’m looking forward to the next from Hieroglyph. COD? A difficult choice today, as while all the clues were good and solid, there’s nothing really flashy that might jump out, but I’ll go with 3d – “Beauty queen’s missing small-minded characteristic”. It’s a Thursday reprint, which means that it’s going to be a little tough. It’s also Punk, which means that it’s going to be somewhat fun and inventive. And it’s the end of what’s been a pretty long week here, which means that my brain cells have about shut down, so I wasn’t exactly in the right frame of mind to face this. But thankfully this was only a little tough, and Punk’s unique style made this well worth the time spent. Both 1ac and 8d were new to me, and it was lucky that 18ac was so explicitely clued because it’s one of those words I can never remember how to spell, but as for the rest they were all pretty common terms / phrases, even if that old crossword staple – 7d – took me an absolute age to get. See the comment above regarding my state of mind. I did wonder about 4d when solving, knowing more about the solver with the same pseudonym than the programme referred to, but I suppose someone who’s poor-sighted could be referred to as “blind as a bat”. Works for me, anyway. COD? With lots to like, I’ll go with 6d – “Order restraining granny is for seedy practice (7)”. A thoroughly enjoyable outing from Dac that was for the most part pretty straightforward. I say for the most part, because I wonder how many solvers struggled with 12d. I know that I did. The second part of the 5d in question is no doubt familiar to most, but I’m wondering about the first half. The rest fairly flew by, though with one or two not fully parsed, notably 15d where my mind went completely blank as to who the Mr Barlow in question might be. For some reason all I could think was Are You Being Served, even though I don’t believe in retrospect there’s a character with that name in the show. Oh well. The vagaries of memory, and it didn’t matter anyway as the answer was perfectly apparent. COD? 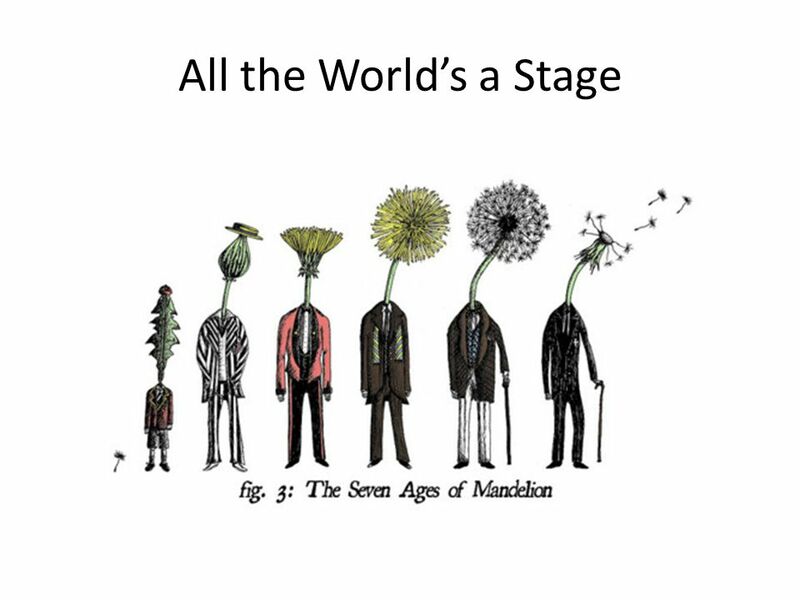 I’ll go with 7d – “Not vain, presumably, in posh fur (6)”. The first outdoor solve of the year. Yes, Spring has finally sprung. I’ve got a drink, a table and chair retrieved from the far corners of the garage, and a freshly minted copy of the Weekend i. Ifor this week, and an emphasis on mistakes. We have them in all the across answers, sometimes more than once, and in the word order of all the down clues too. Yikes. First run through? Not a lot falling there. Oh dear… But hang on, there’s a nice easy anagram at 36ac, only the answer is too long for the space available. So we’ve got to chop them? PEASANTRY is only going to give PEASANTY as a possible shorter answer, so lob it in. Elsewhere we have more than one letter being jettisoned – a grand total of four at 7ac (MPIN), JU at 14ac after unpicking another generous anagram. The phrase we’ve got to construct from the pieces? JURY something surely? No, that’s not going to work. The down clues it turns out are fairly solvable even if some of the words are in the wrong order. But compared with Kruger’s challenge the other week these are a doddle. Not that I’m complaining, I could do without more mind-bending for the moment. Grid suitably filled, what phrase leaps out from the multiple letters dropped from the across answers? The would be JUMPING TO CONCLUSIONS, which pretty much describes what we’ve been doing to the down clues. Unless jumping to conclusions is exactly what I’ve done and fallen into yet another trap, which is always a possibility. This is, after all, a puzzle all about making mistakes. But maybe not, so let’s post this, hope for the best, and say thanks to Ifor for an enjoyable challenge. According to Sir Mark Rylance on the radio this morning, Shakespeare was a committee. Be that as it may, solvers wishing to confirm today’s theme are encouraged to have a gander at As You Like It II vii, where they’ll find something with a familiar ring to it. (Cornick may very well be able to reel it off). Once again Radian has supplied a thoroughly enjoyable puzzle, and although all those 22 20s might look daunting it’s actually eminently accessible. Well, mostly. 17 and 24 were both familiar, but I suspect only from barred puzzles and they seem a bit recondite for a daily crossword. Ditto the Russian river and perhaps the cargo plane, although the clue for the latter could hardly have been more straightforward. Leaving those aside there are plenty of gentle clues to get one off to a start whilst pondering what 22 20 is about. Back in January 2014 some of the commenters at Fifteensquared had a spot of bother with that Herts town (not a phrase which filled my heart with joy, admittedly), but it’s eminently gettable once 13d is in. Favourites today included 16 and 23ac, and 3d; my choice for COD is 8ac – just let’s not argue about whether it’s an &lit or not, please. A nice straightforward puzzle to start the working week from the Don. Two new words / phrases for me today – at 1ac, which I’m guessing will be the case for most solvers, and 18d, though both were clearly clued, and the latter was close enough to “shindig” to leave little doubt. I wasn’t aware either that 21ac is a “short novel”, but there you go, something else learnt this morning. An enjoyable way to start the week, as Quixote’s offerings always are. COD? Nothing really jumps out TBH, but I’ll go with 6d because it is, after all, a nice cryptic def – “An announcement that court action will proceed no further (4,3,3,5)”. Phi went easy on us last weekend – by his standards that is; although I concede that anyone uninitiated into the cryptic world who chanced upon page 42 and read a sentence like ‘Puritan flattens fish’ could be forgiven for saying ‘Eh? You what?’ or some such. 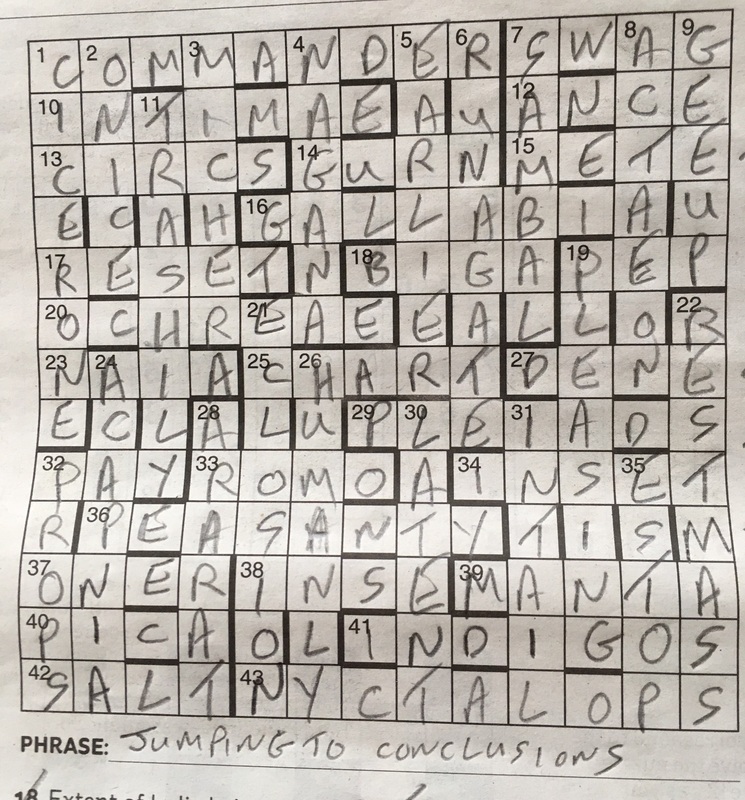 Lots of anagrams, some long, and no real obscurities in the answers, even if there were a couple of question marks in my margin: I didn’t twig that the American comedy star in 11a was Steve Carell, and I still wonder if ‘Gone for a Burton really means ‘drowned’. Mind you it was all done and dusted in pretty short measure. When I swapped Dac on Wednesday for the Friday slot I guessed that Sprouthater would probably have drawn the more straightforward of the two puzzles, but as it turns out today’s offering is my fastest i solve in some time. Perhaps I just got a little lucky in places – I knew 23ac’s name, even if I had no idea how to pronounce it and was therefore left suitably mystified by the wordplay. On the other hand I had no idea who 20d might be and had to trust that I’d got the wordplay right. The cryptic for 1ac I didn’t follow, probably because I was convinced I was looking for the name of some Cambridge college I wouldn’t know, and that “blatant” was part of the definition, but with that definition and given the first letter, what else could it be? First in 7d (yes, I was working on the 1d / 1ac corner, and all three together were very generously supplied by Klingsor), last in 20d. All in all a thoroughly enjoyable, unexpectedly breezy solve. Why did it take so long to get the blog out? Yes, more Windows updates. COD? I’ll go with 27ac, if only for the very smooth surface reading – “Detective goes from vague gut feeling (8)”.